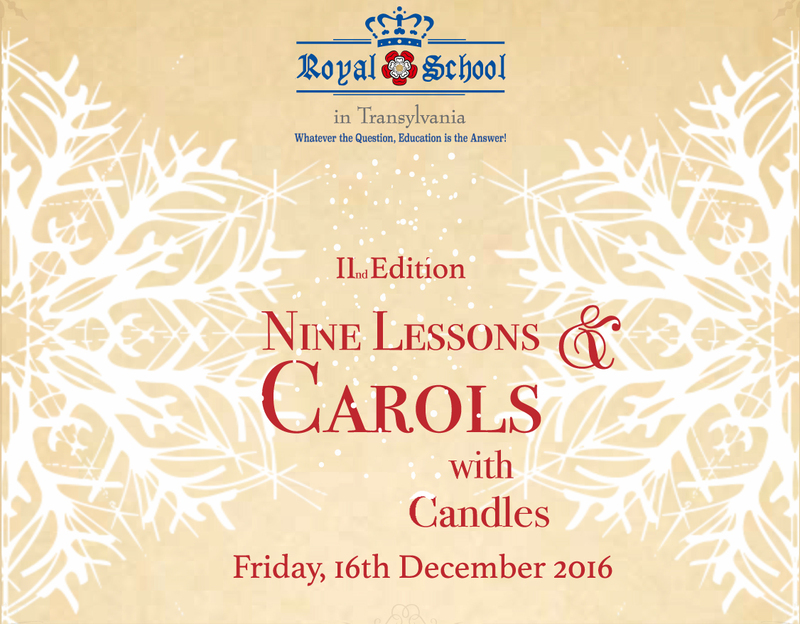 Royal School in Transylvania cordially invites you to the IInd edition of our Christmas Concert, called ”Nine Lessons and Carols with Candles”. • The Diaconia Choir of Florești and musicians from Gh. Dima Music Academy. We look forward to your presence at this festive occasion. Your punctuality will be appreciated since the event will be broadcast by TVR. There will be a collect for sick children, supported by Little People.